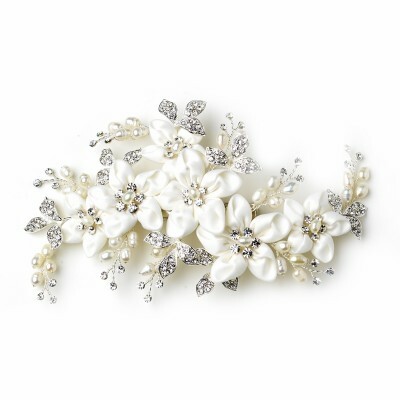 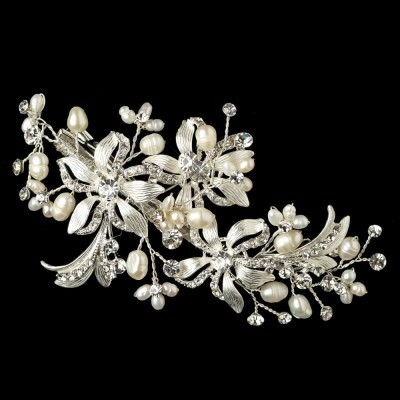 This is an elegant medium-sized bridal headpiece, featuring crystal-encrusted leaves and Freshwater Pearls. 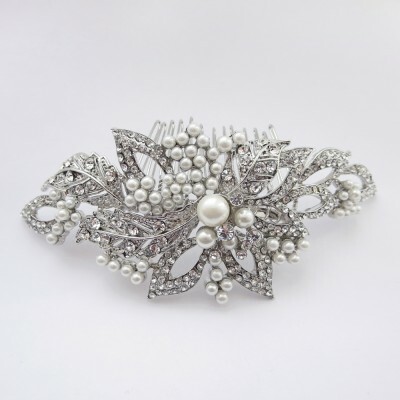 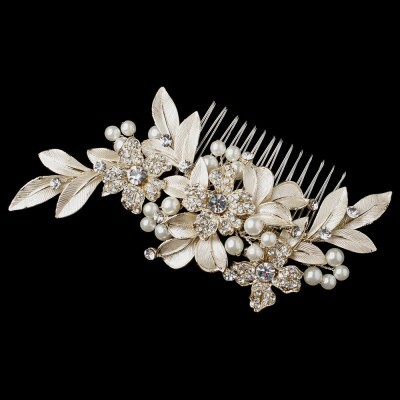 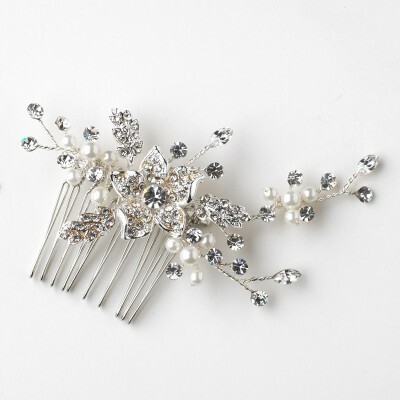 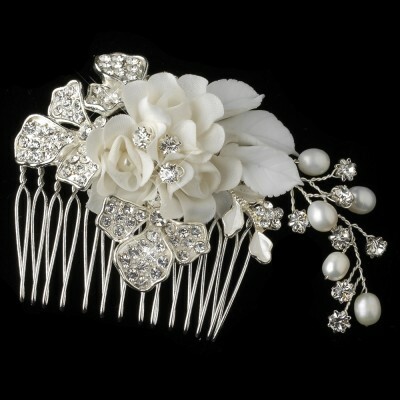 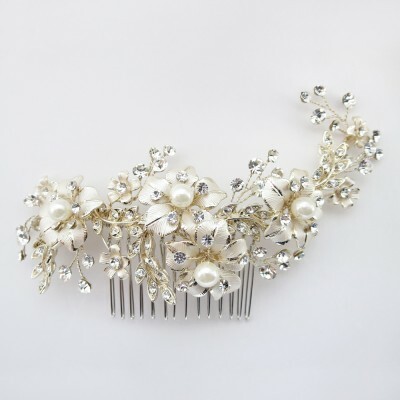 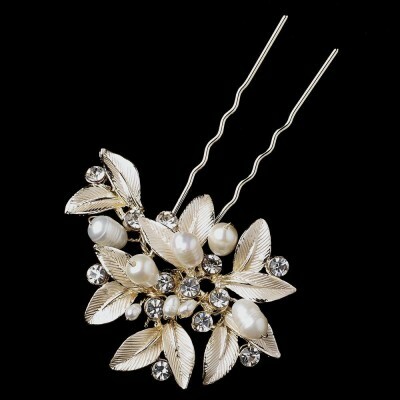 This wedding hair accessory can be worn in many ways - as a side comb, with an up-style, and in conjunction with a veil. 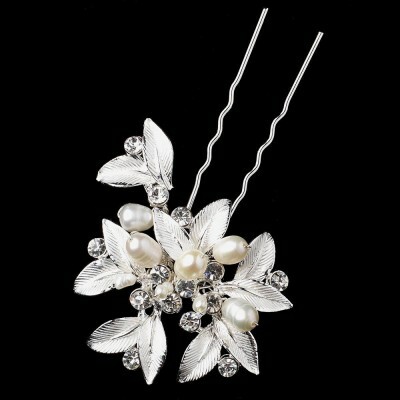 It is very lightweight and easy..